Your liver is one of the most important organs in your body. It is the filter of the body, helping you get rid of toxins that you may consume throughout the day. Take some time to learn more about your liver and you will understand why taking good care of it is so important. One of the best ways to help your liver function the way that it is supposed to is by eating the right mix of foods. There are several foods that you can consume to help your liver keep your body running smoothly at all times. Some ingredients that you may want to consider adding to your next smoothie to help cleanse your liver include: lemon juice, ginger, and turmeric. Here is a great recipe for a green smoothie that can help cleanse your liver. 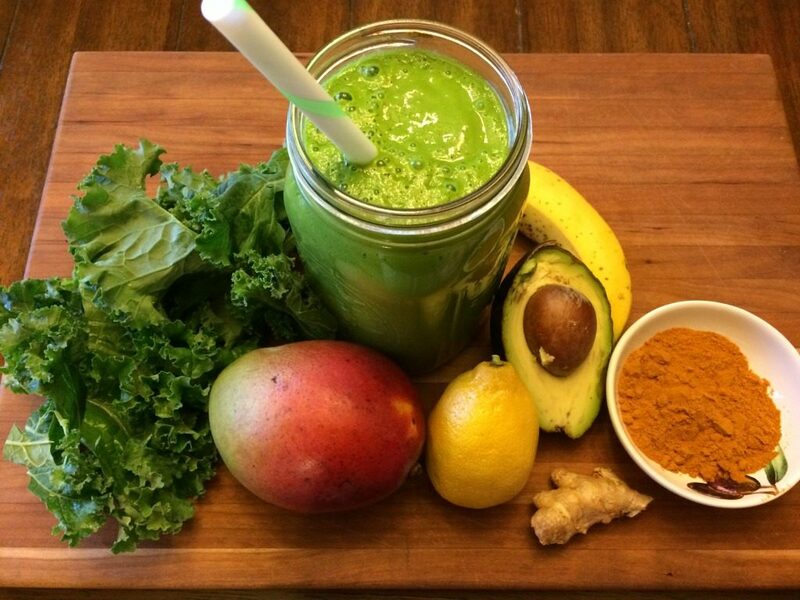 Add the kale and the coconut milk to your blender and blend until smooth. Once smooth, add the rest of the ingredients and blend until the mixture is smooth. If it is too thick for your taste you can add more coconut milk. To make the smoothie colder, use frozen mango. You can also add in some ice if you desire. This recipe makes enough smoothies for two people, but can easily be doubled to serve more. This recipe is extremely simple to make and you likely have most of the ingredients on hand already. You can make this for your morning breakfast or for a snack later in the day. No matter when you have this smoothie you are going to reap the health benefits of all of the ingredients combined. This great smoothie has a ton of health benefits. The lemon juice will act as a diuretic to help your liver flush out toxins naturally. The ginger has many antioxidant and anti-inflammatory benefits. Additionally, the ginger will help aid in digestion. One of the ingredients that you may not know much about is turmeric. It seems like every day you are hearing more and more about the health benefits of adding turmeric to your diet. Turmeric is most often found in its ground form. The root is similar to ginger and is found throughout Polynesia and Asia. Turmeric is found in many curries and is the spice that gives them the yellow color. While eating curry and other foods that commonly have this ground root in them is beneficial, adding turmeric to your everyday diet can be extremely beneficial. You can learn more about the health benefits of turmeric and how it may just be the best friend for your damaged liver here.